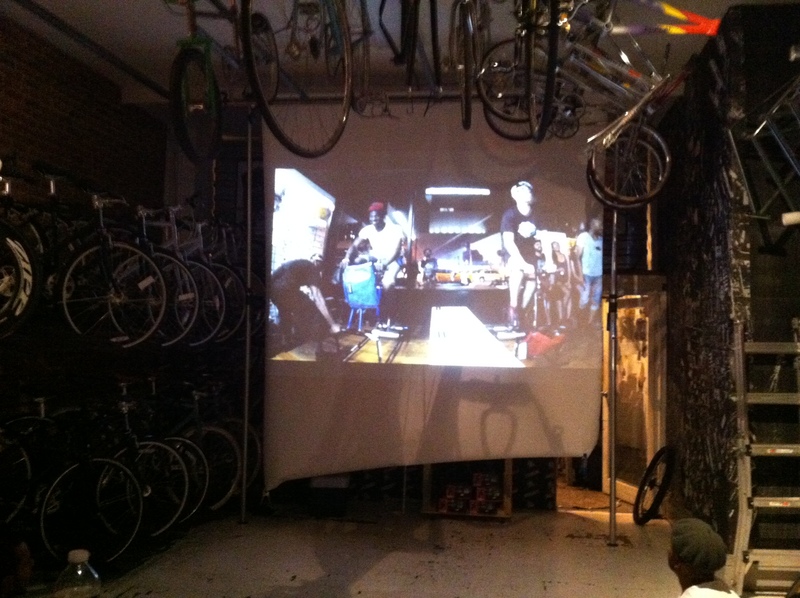 Last night we screened Episode 4 of Triple Rush at Affinity Cycles in Brooklyn. It was a great turn out of around 60 people, who came out even with the crazy impending storm. Lock Foot Posi provided the beer and we raised $85 for the NYBMF, a non-profit that helps injured messengers. 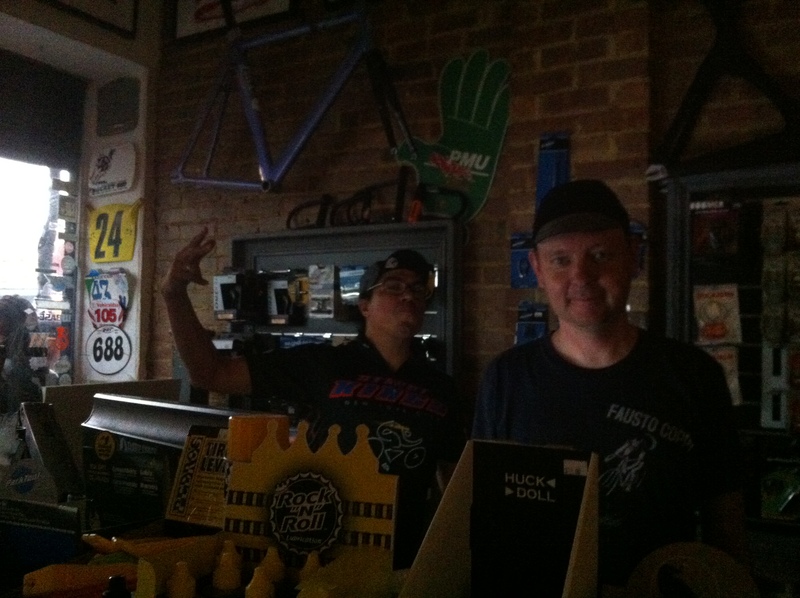 Thank you to Jason, Chad, Cooper and Victor from Affinity for being such great hosts! Next week we won’t have a viewing as we’ll be in Chicago for the CMWC! We’ll show Episode 5 on August 9th at Idle Hands Bar at 7pm, with the happy hour extended until 9!